Something to consider is a new iPhone owner probably already knows that their next phone will be an iPhone, whether they upgrade in a year or four. A Samsung owner probably already knows that their next phone will be Android but it depends on which phones are out when they next upgrade which brand it'll be. I couldn't find the original research but if it is interviewing any phone owner, not someone already in the purchase cycle, it's not a well designed survey. You can read this both ways. About a fifth of phone users are thinking of switching platforms for their next phone, whether they're iOS or Android users. It's not desperately difficult these days to do so. If the survey is to be believed ( I don't) and 70% of current iPhone owners plan to buy another iPhone when it comes time to update what are the other 30% planning to do? The only option outside of dumping a phone altogether is to switch platforms. That means moving over to Android. Does DED really want to hang his hat on that pole? The list has a mistake, Lenovo IS Motorola! They should have been one category instead of 2 since Motorola was bought up by them some time ago. Most smartphone buyers tend to stick with the platform they're familiar with. But most smart phone buyers buy iPhones. Are they? If I look to the main things I use a smartphone for, I think it is the opposite. A $300 Android device is perfectly suited for browsing, emailing, banking, e-commerce, playing music and taking occasionally some photos. Even most games run smoothly on such a device. He left out a word. He meant to say that most smart smartphone buyers buy iPhones. see how that works out? The numbers that I see around are that about 90+% of iPhone buyers will buy another iPhone. About, on average, 75% of Android buyers will buy the SAME BRAND Android phone again.about 80% will buy another Android phone of any brand. the problem with these surveys is that people answer them with aspirational answers. They may want to buy an iPhone next time, instead of another Android phone, but many of them will just rinse and repeat. Leaving aside the question of accuracy, interpreting this study comes down to basic math. It says that 30% of iphone users are LEAVING the platform. If 20% of android users are leaving android (and ignoring meaningless BB and MS options), the net flow of users depends on the proportion of the market each already has. It's simple algebra. To find the tipping point where net flow is even, solve these simultaneous equations. 1.666i = .666 ... i = .666/1.666 = .3997 but taking into account rounding, .4 ... which makes intuitive sense. It's well known that most Android users base their phone purchased on price alone. It's also well known that those that can afford an iPhone, will buy an iPhone. This is basically a rehash of the same store we've been reading for years. There are 5 times more Android users, so you get much more Iphone users, so frack off now bud. I am currently using both iPhone and SumSung. For some functions, I think iPhone is not as smart as Galaxy. Both iPhone and Android phones are becoming more and more expensive. I am wondering why the price is sill rising even if the market volume is declining. A ⅓ of iPhone users who plan not to choose iPhone are still way below in numbers compare to a ⅕ of Android users who plan to move to iPhone... in INDIA or CHINA. So this is a big win for Apple. But if the survey takes place in US, not so much for Apple. Needless to say, if it is globally, it is still a big win for Apple (http://gs.statcounter.com/os-market-share/mobile/worldwide). Still, saying is one thing, do it is another thing. It's like asking someone who has a fake gold chain if they want a real one. Most iKnockoff users WANT the real thing, most can't have it. My mom hates her sh**ty iKnockoff. It lags, displays ads on the lock screen, asks for confirmation before doing anything and is a customized mess! When it's time to buy another phone guess what she will do? Well based on past purchases she'll just buy another iWannabe spyware machine for 50 bucks vs. a $1,000 iPhone. I almost feel like buying her an iPhone but she destroys everything she owns. Not buying another Amazon phone with lock-screen ads would be a good start. Shocked that anyone is really happy with those as they weren't good BEFORE Amazon "customized" them. The target market are those folks who want a smartphone but at the cheapest price possible. Tell her to add another $50-$100 and buy a good mid-range one, perhaps something from Nokia or Moto for under $300, or better yet be that good daughter (son?) and go buy her an iPhone. You can afford it. I know you have no interest in truth, but as I wrote about 5 years ago, Google (now lead by the head Chrome OS leader Pinchai, after kicking out Rubin, the Android guy) has continuously tried to make ChromeOS work while stepping away from Android. It began shoveling millions of units of ChromeOS netbooks into schools--not Android devices. It developed the Pixel C tablet for ChromeOS, then last minute put Android on it because ChromeOS wasn't ready. After that product failed and Google dropped all support for it. Now it has a new ChromeOS tablet and no Android tablets at all--and isn't even talking about Android on a tablet anymore. 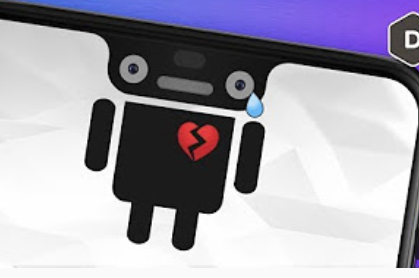 Google cares as much about Android as its largest Android licensee, Samsung, which is putting Tizen on every device, watch, & TV it can and only uses Android on phones because it can't sell them without Android. Both desperately want to dump Android as an OS, as badly as Microsoft wanted to dump DOS for NT in the 90s but couldn't. So when you stay "I've no idea where you read that Google dumped Android for ChromeOS" it really shows what little you know about even the company you worship and make excuses for daily as an anonymous commenter at (ahem) AppleInsider. ...make excuses for daily as an anonymous commenter at (ahem) AppleInsider. ...in a thread discussing Android on AppleInsider Corrections.